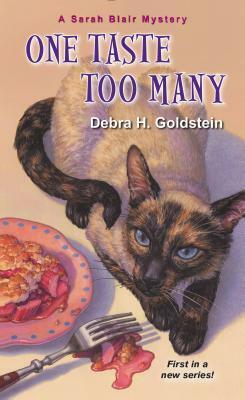 Judge Debra H. Goldstein is the author of One Taste Too Many, the first of Kensingtons new Sarah Blair cozy mystery series. She also wrote Should Have Played Poker and 2012 IPPY Award winning Maze in Blue. Her short stories, including Anthony and Agatha nominated The Night They Burned Ms. Dixies Place, have appeared in numerous periodicals and anthologies including Alfred Hitchcock Mystery Magazine, Black Cat Mystery Magazine, and Mystery Weekly. Debra serves on the national boards of Sisters in Crime and Mystery Writers of America and is president of SinC's Guppy Chapter and the Southeast Chapter of MWA. Find out more about Debra at https://www.DebraHGoldstein.com .